Ok, I confess... I keep buying bananas in an effort to stay healthy while getting my daily servings of fruit. Things haven't really worked out with the whole banana thing. They ripen too fast, leaving me with no other choice than to use them for baking at their prime sweetness! Today I experimented with the longtime perfect marriage of banana and Nutella. 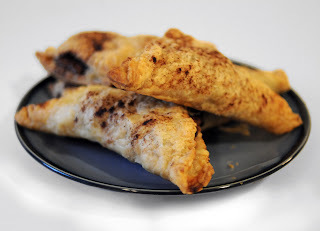 (recipe below) Plus, my husband filmed me making them (in our horribly lit kitchen) so you can see for yourself just how easy these treats are to make. Preheat oven to 375 degrees. Unfold defrosted puff pastry sheet on a cookie sheet covered with parchment paper. Using a rolling pin, roll puff pastry to a 1/16" thickness. Cut 6 even squares with sharp knife. Slice bananas into 1/4" pieces. 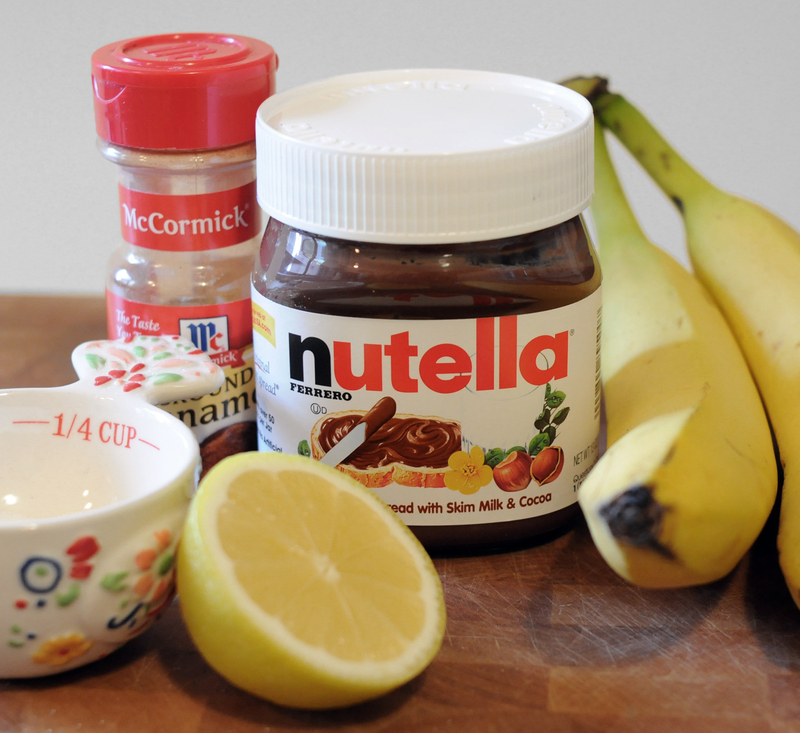 In a small bowl, combine bananas, sugar, lemon juice and cinnamon. Toss to coat bananas. Spoon equal amounts onto puff pastry squares. (Try not to overfill, as squares will be difficult to close.) 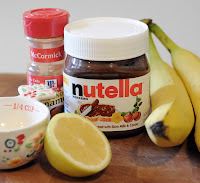 Top with heaping teaspoon of Nutella. Using melted butter and a pastry brush, brush butter on 2 adjacent sides of the square. Fold over opposite corner until you make a triangle and seal edges with your finger. Use the back of a fork to crimp the edges. Using the remaining butter, lightly brush the tops of the triangles, and sprinkle with cinnamon. Bake for 15-20 minutes, or until puff pastry is golden brown on top, darker around the edges. Cool for at least 10 minutes, 'cus these suckers will be hot! The banana puffs look great but what do you do with the nutella? If I read it right, there isn't anything in the instructions. Thanks!